Experience the Frequencies of Sound Healing with Vibration and Sound. Using Tuning Forks and a Bodywork Sound Table. Toning,Intuitive Song and Color Therapy are also included. Sound Therapy promotes Mental, Physical, Emotional, and Spiritual well being. Everything in the universe vibrates at a certain frequency,including your body. When that frequency is disrupted or altered the body becomes in a dis-eased state and out of harmony. Sound Healing clears your energy centers and restores your body back to harmony. 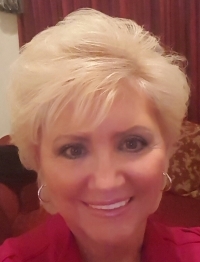 I'm a certified Sound Healing Practitioner living near the Jersey Shore in Whiting N.J.
Having over 38 years experience in the healing arts and a spiritual awareness, I became interested in the whole person. The Body, Mind and Spirit. I began to study nutrition, herbs, aromatherapy, color therapy, essential oils, sound and vibrational healing. Being fascinated with sound and vibrational healing. I became certified in several sound therapy courses and techniques using stainless steel and aluminum tuning forks. Including working with a sound table, my voice for healing with intuitive singing and toning. After several years of research I began to develop my own intuitive technique. I continue to do sound healing sessions along with sound therapy certification workshops,using tuning forks, color therapy, aromatherapy, toning, intuitive songs and a sound table. I bring my natural ability to intuit a client's spiritual, emotional and physical needs. Encouraging and empowering you to take control and become responsible for your own health, well being and happiness. There is a wonderful scripture that says "Physician Heal Thy Self" I'm very grateful I have learned to do just that and discover my true identity. My desire is to help you to become whole by knowing the powerful being your truly are. Encouraging you to know your full potential. We are Gloriously and Wondrously made. We can heal our self and expand our consciousness by learning to tap into the full potential that is within each of us. The power and fullness of God that is in every man. Tuning forks have sound and vibration. When tuning forks are used the possibilities are endless. There are 7 major chakras or energy centers connected to and a part of the physical body. 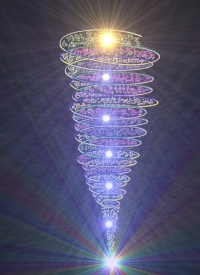 Each energy center transmits and receives life force energy called "chi". When we are in a state of ill health, the chakras or energy centers may be distorted, out of alignment or even stagnant. When this happens, life force energy cannot flow in and out freely and the physical body may suffer. Stress, inability to express emotions, disconnections from a higher power, unhealthy diet, lack of exercise can cause the chakra system to close down or become blocked. Each chakra resonates with a particular frequency of vibration and is an integral part of vibrational medicine. Chakras are balanced by inviting them back to their natural state of vibration and frequency. The physical body is a unit that is designed to be self correcting. Sound vibrations are used to balance the chakras. The tuning forks are matched precisely to the seven whole notes that correspond to the chakras. When the tuning forks are used in the specific recipe through vibration and resonance, the forks are able to clear the energy centers, promoting rejuvenation, relaxation, vitality and freedom, washing away illness, clearing blockages and restoring vibratory harmony throughout the body. Toning is using the voice as an instrument for healing. It is an ancient method of healing. The idea is simply to restore you to your harmonic patterns. Toning can be used as an effective use of sound. We can learn to use our voice and resonate different areas of our body and bring them into balance. Toning releases tension in specific areas, induces relaxation, energy, and promotes deep breathing and prolonged exhalation. Energetically, it balances the body's subtle energies and powerfully draws the awareness deep within. A Sound Table is also used for Vibrational Healing. It is a bodywork table with vibrational sound which is a doorway to super learning through a more complete experience of sound. The components of the table vibrates the main platform causing the specific frequencies of the sound to bathe the body in vibration. You feel the music on all levels instead of just hearing the music. The leading edge of technology is growing in Sound Healing through Vibrational Sound and Music. We are truly blessed to live in such a day. Throughout the ages, music and sound have been used as tools for therapy, healing and transformation. The power of sound directly affects vibration. As you sit and read this, you are vibrating at a physical and subtle level.Tension and relaxation,joy and depression,clarity and confusion have different vibrations. What we experience at the physical, mental, or emotional levels is the result of what is occurring at the energy level of vibration. The whole human body is a receptor of sound, not just the ears. than simply hearing it has important therapeutic implications on a wide spectrum of conditions. Physical, emotional, mental and even spiritual. When you are completely enveloped in sound, your awareness takes on an entirely new depth. Your senses become fully alive, and intimacy develops with yourself. By delivering sound frequencies through or to the body directly, an entirely different system of the body spinal cord and areas of the brain-stem and brain are brought into play with the possibility of a much deeper whole body response. The human body is over 70% water and since sound travels 5 times more efficiently through water than through air, sound frequency stimulation directly into the body is a highly efficient means for total body stimulation, especially at a cellular level. 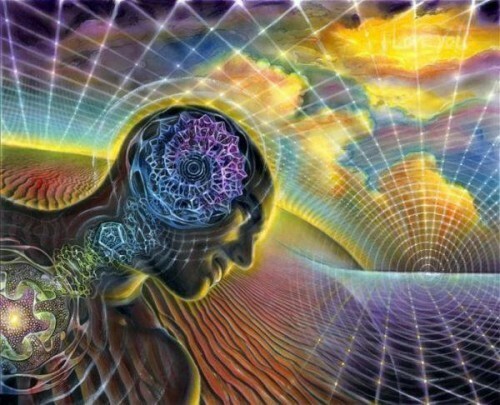 Sound frequency pulse waves played directly into the body also has a profound effect on the nervous system. Far reaching possibilities are inherent in using sound healing. Resonance is the basis of every sound therapy and is the basic vibratory rate of an object. Everything in the universe is in a state of vibration. This includes the human body. Every organ, bone, tissue, and other parts of the body has a healthy resonate frequency. When that frequency alters, that part of the body vibrates out of harmony and this is what is termed dis-ease. Disease is an "out of tune-ness" of some aspect of the body. Tuning Forks have sound and vibration. When tuning forks are used in a specific recipe through vibration and resonance, the forks are able to clear energy centers, promoting rejuvenation, relaxation, vitality and freedom, washing away illness and the possibilities are endless. The word “chakra” is derived from a Sanskrit word meaning “wheel”. If you could see chakras you would be able to see each of the primary chakra as a “spinning wheel of light” [energy]. Chakras are simply the energy “system” projecting outside our physical body, each one associated with a certain area of organs and endocrine glands. Because each chakra has a different vibrational frequency, they would appear to you as different colors of the rainbow, starting with red at the ROOT chakra. The seven primary chakras deal with thoughts, emotions, beliefs and spirituality. The chakras have enormous effect over your health. Because your physical body mimics your energy body, when there is dysfunction in your energy body (chakras), your physical body will show it outwardly. For example, if the heart chakra is distorted from previous relationship problems, eventually that will manifest physically as heart, lung & immune problems. Even more common is the physical manifestation of the reactionary chakra. If the heart chakra is “shrunken & dirty” a common compensation is for the Solar Plexus chakra to go “out-of-control” or over-active. The organs associated with the Solar Plexus (liver, pancreas, small intestine, gall bladder, spleen) could then eventually show outward physical signs of dysfunction such as indigestion, blood sugar problems, & signs & symptoms of other liver & digestive problems. When the physical body mirrors, the imbalance in a chakra from an emotional or spiritual cause then it can manifest into a physical ailment. Basically, our physical bodies are just a physical interpretation of our energy body. Each chakra relates strongly to a specific part of the body, and specific emotions, mental, and spiritual concerns. There are many good books that describe the relationship of the different chakras & their organs/ ailments, emotions/ thought pattern problems. Each chakra has a different frequency of vibration, color, symbol and sound that it is attuned to. When the chakra is balanced, clear, and energized it would be like playing a well tuned expensive instrument. On the contrary, as different chakras become altered & dysfunctional, it would be like playing an out-of-tune cheap instrument. Because everything is energy & everything has a unique vibrational “fingerprint”, everything can effect the vibrations of your chakras, for better or for worse, & thus eventually effect the vibrational frequency of all organs, glands & tissues. 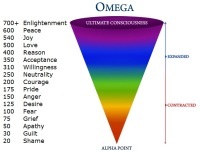 Your emotions act like a gauge to let you know where your general Vibrational tone is. Just like you would check your gas gauge in your car to see if you need gas. Who, what & where you choose to expose yourself too will determine the health & vitality of your chakras. Everything you eat or drink can either raise or lower your frequency. Everything you watch, read or listen to can either raise or lower your frequency. Everyone or place you are around can either raise or lower your frequency. Everything you put on your body can either raise or lower your frequency. Everything you THINK can either raise or lower your frequency. Everything you choose to feel can either raise or lower your frequency. Even taking the wrong nutrient supplements can lower your vibrational frequencies. These all have great potential to wreak havoc on your energy system & then in turn eventually effect your physical health. There are many things you can do to purposely raise your Vibrational state-of-being, & clean, balance & harmonize the chakras. For years, alternative medicine has been using the premise of restoring proper vibrational frequency to encourage the body to change & heal. It is as simple as exposing yourself to higher, healing frequencies. Homeopathic medicine is probably the largest field of medicine based solely on Vibrational frequency. Energy medicine has realized that simply exposing ourselves to higher , healing Vibrational frequencies can help to clean, balance & harmonize the chakras & in turn the physical body will mimic. Dr. David Hawkins concluded from a 20-year study of kinesiologic calibrations that a person’s mental state can have a profound effect on the condition of his or her body. He created an arbitrary scale that mapped the energy of human consciousness. Any state, attitude, or emotion that causes a person to vibrate at a frequency below 200 on the Hawkins scale weakens the body, and from 200 to 1,000, strengthens it. He determined the lowest emotional vibration rate to be shame. A shameful thought weakens the person. Higher on the scale, but below 200, are guilt, apathy, grief, fear and anxiety, craving, anger, and hate. Love, joy, and peace move up the scale, with enlightenment at the top in the 700 to 1,000 range. Clearly our objective should be to experience these higher vibrational emotions in order to maintain optimum health and let go of uncomfortable negative emotions and limiting thought patterns. Not only can our mental states affect the conditions of our bodies, they can also affect the achievement of our goals and determine the kind of life experiences we attract. The natural energy surrounding us can be used to change our personal lives, increase our businesses, or attract a mate. When the highest and fastest frequencies replace lower and slower frequencies, they eradicate problems of many kinds. With a little effort you can increase your vibration, transform your emotional state, and change your life. You can create a conscious healing partnership between you, your higher self, divine intelligence, and the creative energy of the Universe. The concept of vibrational healing utilizes the Universal Life Force to maintain balance within the energy field of the human body. This energy field can be modified, balanced, and enhanced to attract unlimited abundance, prosperity, and inner peace through meditation, affirmations, conscious intention, and the inhalation of pure, therapeutic-grade essential oils and Vibrational and Sound Healing. Frequencies that surround us influence our state of well-being and our ability to attract either good or bad experiences. Low-vibration, negative thinking and emotional states (depression, sadness, grief, etc.) promote more of the same, unless some positive change occurs in the person’s thinking and perceptions. Like attracts like, and we create our existence with our thoughts. Remember that with these simple and readily available tools, you have the ability to increase your vibration and access the highest and fastest energies for the purpose of ridding yourself of problems, improving your physical, mental, emotional, and spiritual health, and achieving success in life. The choice is yours. In a session the main chakra system is cleared. The existing connective pathways between each chakra are cleared and strengthened. Revitalizing the internal & external meridians, helping to break up old crystallized patterns that shape our experience. Visualization is applied along with color therapy, voice toning, with hands on energy healing while lying on a bodywork sound table.